If you over process it and it is too runny, you have 3 other options so don’t despair! Put it back in the freezer until frozen and start over! Take the slush and pour it into a fancy martini glass or pretty glass of some sort and serve with a little spoon. 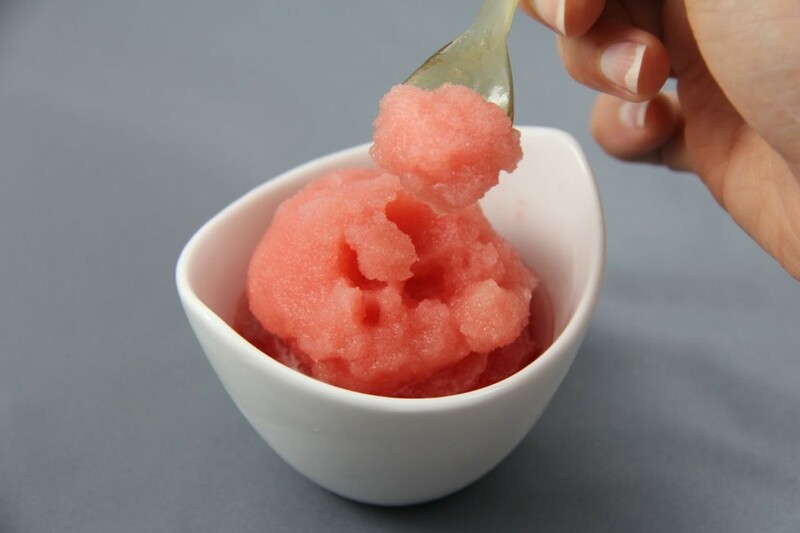 Add almond milk or coconut milk (or whatever your preferred milk is) and blitz some more to make a creamy watermelon slushy! Drink with a straw for a delicious refreshing drink.